Are you interested in the world of UX design and pondering about how to become a UX designer but are doubtful how to get there? Don’t worry; In this article, we explained clearly about UX designing and what are the steps required to become a successful UX designer. Particularly in a field like UX design where there’s more to learn and take in, the idea of going from complete beginner to professional looks impossible. 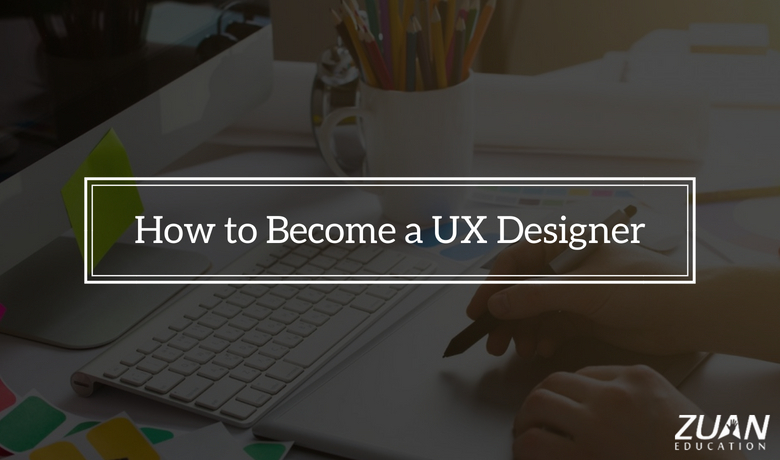 In fact, anyone can become a UX designer regardless of past experience or current career. UX design is the process of designing products that are helpful, easy to use, and delightful to interact with. The purpose of UX design in business is to “improve customer satisfaction and loyalty by the utility, ease of use, and pleasure given in the interaction with a product. Behind any great user interface are a well-thought-out design process, understanding of user behavior, anthropology, business goals, information architecture, and technology. Here, we have listed the 7 simple steps to become a UX designer. Becoming a UX designer can be separated into the areas you have to take in, the books you have to read, the general population you have to take after and the practice you have to pick up. Those steps can be divided into more specifically according to your individual needs. This is all about turning an indefinite goal into actionable to-dos! It’s really important that this progression is considered particularly when you think how critical prerequisites and customer objectives are in the UX design. A goal provides us the concentration we need to achieve and with objectives, you are not only in control of your progress but aims allow you to measure your progress. Accordingly, keeping you motivated! Before practicing UX design, the first thing you require to do is learn some design principles. From this, you will have the ability to enter the outline world and begin thinking “creatively”. You will determine the psychological phases of design: why it can look great and why it can fall flat. There’s a highly active community of granted UX designers and writers on websites like Medium, Quora, and Twitter. There are a large number of articles accessible online for us to find about new patterns, utilize cases and instructional exercises. Take advantage of this pool of talent. Learn how they write, the subjects they write about and understand the questions they pose. 85% of self-made millionaires read 2 or more non-fiction books a month. And they read a lot. Use this mentality when learning about UX design; the goal is not to become a millionaire but to become an influential UX designer! As a UX designer, you will rely heavily on tools, so start by familiarizing yourself with the essentials. There are large amounts of configuration devices out there, however, you don’t have to know every one of them. Become more informed with the best ones out there, pick your top picks and stay refreshed with the most popular highlights and patterns. If you are really interested in a career in UX design, the easiest way to make the transition from beginner to pro is by a structured UX designing course. There are also plenty of training courses giving classes on the subjects you want to learn about. The right UX design course will bring you through the essentials in a logical order, and especially protect you from the data overload of the world wide web! This step is quite important – especially when you begin applying for jobs. Employers want to see what you are capable of. One excellent way to fill up your portfolio is to volunteer. Reach out to non-profit organizations to see if they want help improving their UX design, or search the internet for virtual volunteering opportunities. When it comes to studying the art of UX design, never depreciate the value of your peers. Networking is a permanent source of education, and you will learn much more about the industry just by talking to those who know it best. Attend the local meetups and it will give some great opportunities to learn about the industry. Hence, these are the essential steps to become a UX designer. The solution to achieving flow in UX designing is to challenge yourself to resolve real problems, set clear goals and enable yourself to become fully involved in the process of design.